Listed are highly recommended online video training & courses to learn all about Raspberry PI Projects. 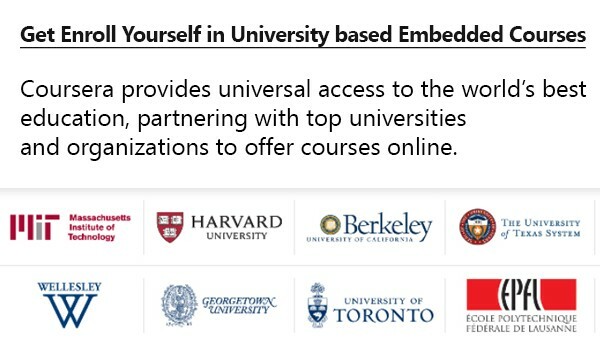 Coursera provides universal access to the world’s best education, partnering with top universities and organizations to offer courses online. When you complete a course, you’ll receive a sharable electronic Course Certificate. Click on the image to see which university / institute is offering the course with their detailed specs. Garage door controller using Raspberry-Pi: Monitor status and Control your garage from anywhere in the world!